A Knight in shining armour - Janice Knight's affection for UNE runs deep. She earned a scholarship (just like her future husband Trevor, whom she met on campus) to study at UNE in the late 1950s, Trevor became a longstanding Admissions Officer later in his career, and their youngest daughter studied linguistics at UNE. "UNE was so good to us; it opened up the world to our family," said Janice, who graduated with a Bachelor of Arts and Diploma of Education. She's now 79 and living in Adelaide, but grew up "in the bush" near Coonamble, in the NSW Central West, at a time when it was not customary for girls to enrol at university. "A friend berated my father for allowing me to attend university because he said I would only get married and have children," Janice said. "But my parents were passionate believers in education. My father told his friend that at least the children would have a well educated mother. "I was one of five children of farming parents. Neither mine nor Trevor's family could have afforded university education; the scholarship was a godsend." 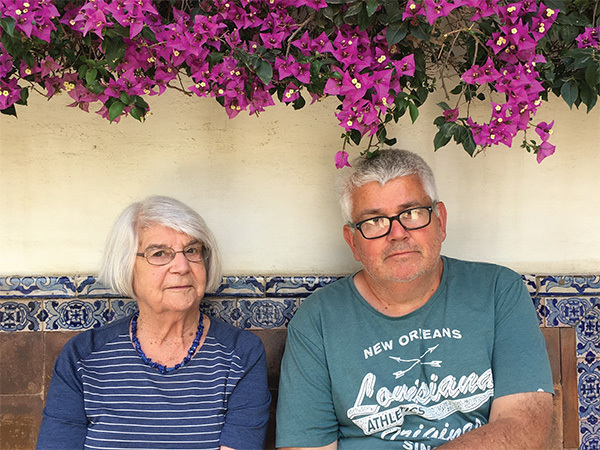 In later years, Trevor's admissions role gave the couple further insights into the hardships experienced by some students. "For a time, Trevor was in charge of the Student Loan Fund, and we saw first-hand how important a little bit of extra financial support could be," Janice said. "I remember Trevor telling me about a young woman from western NSW. Her mother had died, the family were in the middle of drought, the property wasn't going too well and her father broke down and cried when told she'd been awarded a residential scholarship. It made all the difference in the world to them." Janice said her long, happy association with the university and personal belief in the importance of education inspired her to begin giving regularly to a UNE scholarship fund shortly after Trevor's death. I couldn't make a huge donation, but I could make continuous donations that would mount up over time. It's my way of saying thank you, for all the happy times we had and the dear friends we made at UNE. I didn't want to leave money in my will; I wanted it to be available now. I don't think I am exceedingly generous; it's just the right thing to do, and it will help someone. students to travel and do their Masters or PhDs overseas," she said. Her UNE memories stretch back to when residential colleges were first being built and students were bussed in to Booloominbah for meals twice a day. "The student body was quite small and close-knit in those days and it engendered a strong sense of belonging," she said. "Studying at UNE has stood me in good stead all my life." Find out more about UNE Scholarships.